Carters price match policy is guaranteed. Shop at Carters and you are guaranteed to get a good deal! 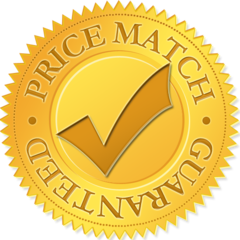 We constantly look at our prices and try to offer our customers the lowest prices anywhere on the Sussex High Street. We believe our prices are very low but will attempt to match any High Street Store in Sussex on the day of sale, like for like including delivery, on every single item we sell. We have pride in being loyal to our customers as they are to us. The product must be in stock at the competitors store and be a current model capable of being purchased by ourselves from our normal sources. The only possible exception is when the appliance is an ex demonstration or discontinued model. We must be given sufficient information to enable us to check the price at the competitors store. In any situation however we will always try our best to give the very best price even on a non like for like basis.